August 2012 is the 1960s decade for Windows to the Past. Here is a link to all the packets, including the one for 1960. I tweaked what we will do a little from the packet, because well... that's how I roll and you have to remember to build in flexibility with any badge or patch you are working on. Make sure they get something from it, but make sure they like what they are doing so they get something from it! Preheat broiler about 5 minutes. Split muffins, toast cut sides and spread with combined chili sauce and seasonings. Sprinkle sausage over tops; then sprinkle cheese. Place under broiler and broil until cheese is bubbly. 4 Servings. I gave the girls a piece of cardstock and asked them to draw a GS uniform that they like. It could represent the 60s or it could represent what they would like to have now. After they completed these, I had them tell me 3 features of their outfit and why they chose to incorporate those. Using one of the pipe cleaners, form a circle and twist the ends around to secure. Fold the other pipe cleaner in 1/2 and place over the circle. Twist 2-3 times and then spread the legs to form the bottom "v". Twist the ends around the circle to secure. 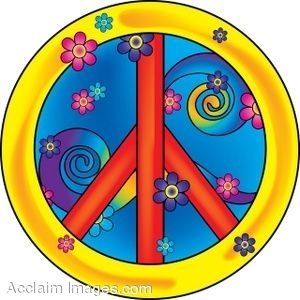 Slip on the peace sign and close your pin. The girls chose to either do the SWAP or another round of the bandanas while I spoke with parents about the year.